Why is 432 Hz better than 440 Hz? Read. Listen. Benefit Naturally. When two or more musicians get together, it is important for their instruments to be in tune. A specific note on one instrument should be the same frequency as the same note on another. Rather than argue about who is correct and who is sounding “off” pitch, some standard agreement about tuning is usually adhered to beforehand. 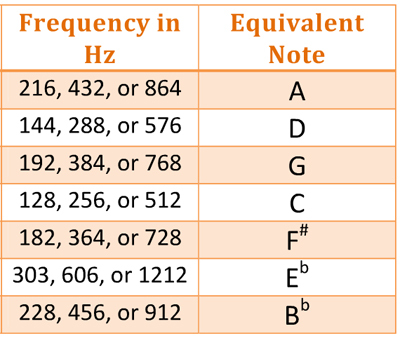 Today, most musicians around the world tune their instruments in such a way that the “A” note — the one above middle “C” — is tuned specifically to a frequency of 440 cycles per second (Hertz). This frequency of 440 Hz is called the standard “Concert Pitch” and has been the practice everywhere since about 1939. It was officially adopted by the global ISO Standard in about 1956. Just about all the music you hear is adjusted to this specific pitch. But this was not always the case. The story told on the web claims that most ancient instruments in human history were tuned to a different pitch. The one most preferred was 432 Hz. It is claimed that even the oldest flutes, dating back to the Neanderthals (45,000 BCE) were tuned to 432, as were the lyres in ancient Greece and the wind instruments discovered in Egyptian tombs. An interesting story claims that the lyres of the temples of Greece were an integral part of the ceremonies worshiping Isis and other so-called mystery schools. Cult members were aroused to states of ecstasy by the sounds of this 432 Hz tuned music which, in the case of the Eleusinian Mysteries, made them filled with compassion and altruism. For this reason, according to the story, the war-like state of Sparta had all the lyres re-tuned to a higher frequency, thus nulling the anti-war sentiments. Obviously, the ancient people did not have tuning forks or digital meters and so it is presumed that this frequency of 432 is intuitive, meaning that it somehow sounded right to the human ear. This kind of intuition is supported by the surprise that even the most ancient flutes all have what is called a heptatonic scale of eight notes (“Do, Re, Me, Fa…”) such that, if you picked one up back then you could conceivably play Yankee Doodle on it. In fact, in Werner Herzog’s film documentary, Cave Of Forgotten Dreams, archaeologist Wulf Hein plays The Star Spangles Banner on a Paleolithic flute made from the radius bone of a vulture. Note: The author used iSpectrum running on Mac OS to assess the frequency of this recording and found it to be spot on 432 Hz tuned! Musical instruments such as the 45,000 year old flute pictured above must have had an even more ancient origin where the preferred tone, musical scale and production were perfected. How far back in time the art of music in human history goes is anyone’s guess. Most historians believe music started as a way of mimicking birds or the sounds a mother uses to sooth a crying baby. But there is evidence that music was also part of the spiritual practices used to create an altered state of consciousness for shaman rituals and tribal initiations. Today we have little doubt that music can change our emotions and mental states and, after all, that’s why we love it. When music became a performance art, there was a tendency for orchestras and performing musicians to tune their instruments up. This created a “brighter” sound that was better suited for the acoustics and environment of their stage. Some had the A tuned as high as 460 Hz. Opera singers complained that they could not sing in these higher ranges and that they were suffering from vocal stress. Giuseppe Verdi was an Italian Romantic composer primarily known for his operas. He is considered, together with Richard Wagner, the preeminent opera composer of the nineteenth century. Naturally concerned for the well-being of his opera singers, Verdi proposed that the French government adopt a standard where C=256 Hz. This is the same scale where A=432 Hz. He claimed that it was the natural range for singing. But his efforts failed. Nevertheless the term “Verdi tuning” is often used to describe the 432 Hz standard for “A”. The real music conspiracy story begins in 1910 when a man named John Calhoun Deagan [right], an alleged member of the US Naval Intelligence which was funded by the Rothschilds through their agents in the Rockefeller family, joined the American Federation of Musicians and convinced the group to endorse a standard of 440 Hz tuning for all orchestras and concert performing musicians. He was successful but this standard only applied to public performances in America. Moving forward a decade, JD Rockefeller and JP Morgan created the Federal Reserve Bank as Illuminati agents and established the Rockefeller Foundation (1913). They began implementing their plans for what is now commonly known as the “New World Order”. Their first endeavor was the promotion (and funding) of the idea that society would be greatly improved with the elimination of the “inferior people” (i.e. those with feeble minds, alcoholics, criminals, those with genetic diseases) through imposed sterilization and euthanasia. Eugenics (the selective breeding of humans) was a popular idea among the elite and much has been written about this in the darker chapters of American history. For example, Kellogg’s corn flakes (for which they are now famous) was initially developed as an inexpensive “feed” for inferior humans who were to be held in what amounted to concentration-style labor camps where they would be sterilized and allowed to die off while earning their keep. But I digress. The Rockefeller’s had only limited success with the introduction of so-called “racial hygiene laws” (one law actually passed in the state of Virginia). The American public was apprehensive about this idea as many impoverished people and certain racial types were included in the “inferior” category and slated for elimination. What they needed was a vehicle to convey their grand ideas to the common man. Because the phonograph records and “talking” movies were produced in America, these new technologies were forced to comply with the American Federation of Music’s 440 Hz tuning standard. Soon a slew of propaganda films were shown in Edison’s theaters before and after the main features and surveys were conducted to determine the emotional effectiveness of the musical soundtracks. 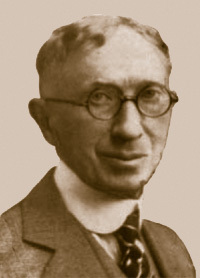 At the beginning of the 1930s, the potential of 440 Hz to combat altruism and stimulate nationalism, narcissism and aggression was fueled by the new science of Psychology. Freud’s psychoanalysis in Europe was mainly for the elite but his theories of mass hysteria found their way to America through his nephew, Edward Bernays, who successfully used Freud’s theories and mind control techniques in advertising and politics. He was the first to note that only about 8-10% of a population needed to be convinced of a new idea for it to eventually become unanimously accepted. This has been called the “10% Solution“. The Rockefeller Foundation was anxious to apply these new mind control techniques on a global scale. 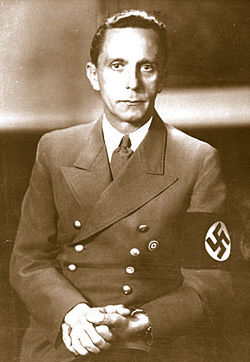 Together with the Rothschild’s and global bankers they approached the German minister of Propaganda, Joseph Goebbels, who was already utilizing many of Bernays’ advertising ideas to promote the Nazi Party. below is Goebbels campaign for the Nazi Party. With their support, and with the reminder that the British were heavily in debt to their banks, the Illuminati sponsored Goebbels to promote the adoption of the 440 Hz standard by the British Standards Institute which would apply to all musicians playing in Europe. This measure reluctantly passed in 1939 despite being three months after Hitler invaded Poland. Technically, Germany had started WWII and was an axis of Britain, but this had little impact on their ultimate decision. 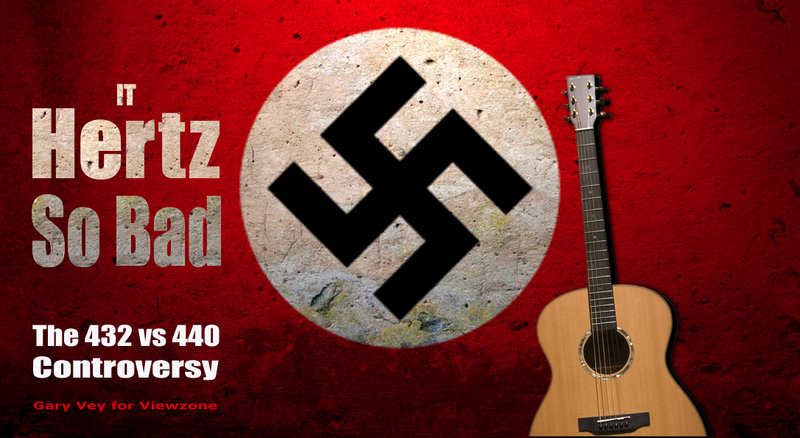 During and after WWII, 440 Hz became widely used and has become the modern standard tuning for all music. This is where we stand today. But what was the significance of 440 Hz? A more interesting question is why was 432 Hz, the intuitive tuning frequency used since the inception of music in humanity, so undesirable to the Rockefellers, Rothschilds (Illuminati) and Nazis? Why is 432 Hz better than 440 Hz? If you google the topic, you will discover that the debate over which tuning system is optimal is a very controversial and heated one. In preparation for this article I have spent days reading blogs and watching YouTube videos on the subject. The arguments can get pretty technical with proponents of 432 claiming that it resonates with the Heart Chakra, repairs DNA and restores both spiritual and mental health. There is even the suggestion that 432 tuned music stimulates the right brain, responsible for our most desirable human traits. It seems obvious that our current civilization is geared towards left brain traits and many can pose the argument that this has resulted in a plethora of today’s social problems. I spent a considerable amount of time searching scientific journals to see if any studies had been done which demonstrated the neurological effects of 432 vs 440 Hz but, surprisingly, there were none. Remember that the frequency is measured in cycles per second, which means it used the standard unit of time to determine the frequency number. Since the unit of time — the second — is based on the rotation of the earth = 1/86,400 th of a day, this could emphasize some natural connection and perhaps there is some kind of mathematical resonance going on here. I did locate an experiment published in the Journal of the Acoustic Society of America (114, 2409 2003) which had music students listen to classical compositions written by some world famous composers in 432 Hz tuning (Chopin, d’Albert, Bach, Debussy, Mozart and Reger) which were played in their original pitch and then played in 440 Hz. While the students showed no significant preference the experiment did confirm that these early composers were, in fact, using the 432 Hz tuning to create their masterpieces. This might support the idea that they were more creative because the music stimulated their right brains. The critique of the experiment was that these were music students who were accustomed to the 440 Hz pitch and perhaps were influenced by their familiarity with the 440 Hz tones. We’ll talk more about this study later in Part 3. Most studies reveal that the amygdala, an area of the brain about the size of a walnut that exists in the left and right hemispheres, is active in either hemisphere when subjects either like or dislike music. Unfortunately, all of the experiments use the 440 Hz tuning. What is badly needed is an fMRI study where non-musicians are exposed to unfamiliar musical pieces played in 440/432/and a control. This way the neurological effects could be evaluated and the debate would perhaps be ended. 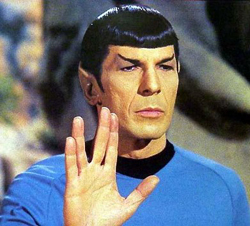 The research conducted with grants from the Rockefeller Foundation (referenced earlier) determined that 440 Hz music was good at making people work harder and fostered personality traits more in tune with Startrek’s Vulcan character, Spock. These are pure left brain traits which stifle creative thought and null the emotions. It is clear why these traits were desirable in the Third Reich. It also might explain why modern music, which changed to the 440 Hz standard in 1939, has had such a negative effect on today’s culture. Much is made of the fact that 440 Hz is “unnatural” and creates subtle disharmony to the listeners. The argument posed is that when the two frequencies are examined in Cymatics experiments, the patterns show that 432 Hz creates distinct shapes which indicate that they resonate with nature. The 440 Hz tuning creates indistinct patterns revealing a lack of coherence. This apparatus used sand but similar results are seen in water. The argument is made that the human body is about 70% water and so these harmonious ripples can affect our cells. Likewise, the inharmonious vibrations of 440 Hz can be a source of illness. We’ll talk more about the inherent problems of re-tuning an instrument with frets later. But first, I’d like to turn you on to a composition made by a plant! That’s right, the artist is Anthurium (anthurium andreanum) and it was connected to a MIDI computer interface and allowed to experience (hear) its own electrically generated tones. The music in this recording has actually been performed by a plant, Anthurium (anthurium andreanum), thanks to a specific electronic device. Plants emit signals in reaction to external stimuli and to communicate with everything. These signals are detectable as variations in the bio-electrical field of the plant and can be converted into a MIDI signal (Musical Instruments Digital Interface). I sent this MIDI signal into a synthesizer and programmed a soft, soothing sound tuned at 432 Hz. After some time being connected to such device and producing sounds, plants seem to become aware of the process; they seem to understand that those sounds are coming from them... and they start playing with it. The video is longer than an hour but quite pleasing to the ear. I will only post the link as it would slow down the loading of this page considerable. Of course, the benefits of music on plant growth have been known for some time now but these observations have mainly come from marijuana growers who claim that their cannabis plants seem to prefer classical music. To the best of my knowledge the recordings used have all been in 440 Hz, the standard “concert pitch”. So perhaps there is another area where 432 Hz tuned music could be investigated. If you are not a musician and want to hear some popular tunes in 432 Hz you have two good options. First, it is believed that musicians such as John Lennon (Imagine) and some of the early works of Bob Marley (Three Little Birds) were recorded on instruments tuned to the 432 Hz scale. There are many many more if you search on YouTube. It seems this right-brain tuning has been known for some time and many artists have experimented with it or created their tunes using it. The problems come when record companies attempt to record the music and require the addition of other musicians who may have instruments that cannot easily re-tune. Wind instruments like the saxophone, clarinet, flute as well as “solid tuned” instruments like marimbas and xylophones cannot adjust from their 440 Hz tone. Even the guitar and other fret instruments will have some dissonance when playing in the higher octaves because of the set distance between the frets. Another option for listening to 432 Hz is to convert tunes recorded in 440 Hz to 432 Hz with programs like Audacity, which is free to download and world on Mac and PC platforms. These programs do not just “slow down” the music by the 8 Hz difference but somehow preserve the tempo and audio (not 100%) and deliver a pretty awesome result. Many of the so-called “432 Hz” tunes you find on YouTube have been converted by this method. My all time favorite is No Quarter by Led Zeppelin. I wanted to share this with you (in 432) but youtube took it down… So here is Stairway To Heaven (432). If you liked Zep in the past you will notice the difference. Turn it up and notice that there is no distortion (and your Mom will not yell “Turn that stuff down!”). There are rumors that this was originally recorded in 432 but I could not find any validation to this claim. I was originally going to show you ancient musical instruments, many which used intuitive tuning that approximated 432 Hz (remember they had not discovered cycles or Hertz yet). But I kept thinking about the argument that 432 tuning causes a positive mental state, as well as physical health benefits over 440 Hz. I decided to look at the scientific literature to see if there had been any experiments to address this. I was greatly disappointed that the 440 paradigm seemed to pervade almost every study of the affect of music on the brain until I stumbled on a very recent, peer reviewed report, that came out just a few months ago. Amelioration of psychiatric symptoms through exposure to music individually adapted to brain rhythm disorders — a randomized clinical trial on the basis of fundamental research. by Muller W., Haffelder G, Schlotmann A, Schaefers AT, Teuchert-Noodt G.
This pilot study examined, whether long-term exposure of psychiatric patients to music that was individually adapted to brain rhythm disorders associated with psychosis could act to ameliorate psychiatric symptoms. Methods A total of 50 patients with various psychiatric diagnoses were randomized in a 1:1 ratio to listen to CDs containing either music adapted to brain rhythm anomalies associated with psychoticism — measured via a specific spectral analysis — or standard classical music. Participants were instructed to listen to the CDs over the next 18 months. Psychiatric symptoms in both groups were assessed at baseline and at 4, 8 and 18 months, using the Brief Symptom Inventory (BSI). At 18 months, patients in the experimental group showed significantly decreased BSI scores compared to control patients. Intriguingly, this effect was not only seen for symptoms of psychosis and paranoia but also for anxiety, phobic anxiety and somatisation. Conclusions Exposure to the adapted music*(see below) was effective in ameliorating psychotic, anxiety and phobic symptoms. Based on the theories of neuro-plasticity and brain rhythms, it can be hypothesized that this intervention may be enhancing brain-rhythm synchronization and plasticity in prefrontal-hippocampal circuits that are implicated in both psychosis/paranoia and anxiety/phobic anxiety. While the above study doesn’t claim that 440 Hz causes psychotic symptoms, paranoia and anxiety, listening to it did nothing to relieve the symptoms. And the 432 did improve these disorders! So… what do you make of that? Below is a relatively short piece by Mozart (the 432 Hz composer featured in the experiment). Have a listen and see if it improves your mood. If you ask a trained musician to listen to both 440 and 432 Hz tuned musical compositions you will likely hear that they prefer the 440 Hz version. This subjective analysis is based on the established fact that musicians’ brains are arranged differently from normal non-musicians (like you and me). For example, a trained musician processes pitch almost exclusively in their Left Ear (right brain) while non-musicians tend to use both. Non-musicians process rhythm in their Right Ears (left brain) while musicians rely on their Left Ear (right brain). This is something that is usually not addressed when recording in stereo and, although the tunes may sound great to the recording artist and his studio technician, the non-musical public may appreciate the results to a lesser degree. Anatomical studies have shown that people who begin studying music in their childhood have a more developed (larger) Left Planum Temporale. Without using lots of Latin words and sounding like a neurologist, in general, musicians approach music from an analytic perspective — real Left Brain stuff — while the rest of us appreciate music holistically in our Right Brain. I mention this because of a study that was conducted with music students where pianos tuned to 440 and 432 Hz were equipped with antique perforated piano rolls made by famous pianists playing classical pieces that were originally composed in the 432 Hz tuning. Thus, everything was identical except for the tuning method of the grand pianos. Not surprisingly, the music students who were trained in the 440 Hz standard showed a slight preference for the 440 Hz music. But the difference was not significant. I have lots more to share about this topic but I would really like to hear from you and what you think and feel about this controversy. Most of the e-mail responses have been very positive but a few people are quite opposed to changing from the 440 Hz tuning standard. Some claim that an “A” just has to be 440 Hz. Period. Some musicians claim that the 432 Hz tuned music sounds “off”. While I have heard from others who have already re-tuned their bands and are playing exclusively in 432. Remember, music is a subjective experience. Appreciating music for what it is (holistically) can be a Right Brain experience (the good side) and being too analytical (the stoic Left Brain) can mess with how you enjoy a piece that has been transposed or was originally recorded in 432. A review of the current collective studies regarding the effects of music on the human brain reveals some surprising information. With the advent of fMRI and PET scanning capabilities, live subjects are able to reveal which portions of the brain process certain aspects of musical sound. Remember that the Right ear is connected to the Left Brain, etc. Most of what we know about the effect of music on the brain comes from both brain hemispheres utilizing the 440 Hz tuning paradigm. Other results come from the symptoms (dysfunction) associated with brain lesions, strokes and remedial surgery performed for the removal of tumors or to prevent seizures. In general, music appreciation requires the co-ordinated processing of multiple networks with the emotional component being registered in the amygdala, a brain organ located bilaterally, which is responsible for the “feelings” we derive from a particular music piece or phrase. While it might be desirable to think of the effects of music on either the Right or Left Brain (hemispheres), in fact, all of the individual processing centers are needed to function and co-operate to allow a full appreciation of musical compositions. It must be remembered that the auditory networks in the human brain are highly plastic. This means that they can change (physically) and establish unique networks to accommodate the habits and experience of the listener. Musicians have different networks than non-musicians and those who listen to a particular type of music can develop networks specific to that genre. It is unfortunate that the 440 Hz paradigm has persisted in music-brain research and that there has been little attempt to evaluate the difference in brain networks with other non-Concert Pitch tuning. From what we know about the plasticity of the human brain, there are most certainly changes that could be measured. The study cited earlier demonstrates the most recent discovery that 440 Hz had little change of the psychotic symptoms of non-musician subjects, yet with exposure to just 18 months of 432 Hz tuned music the symptoms were significantly ameliorated. Most psychiatric illness that does not have an organic origin appear to start with anxiety, paranoia, dissociative feelings and depression. These symptoms, if untreated, advance to more debilitating psychosis and are typically treated with pharmaceuticals. “Talking therapy” is not usually effective. Yet, the underlying cause of these illnesses is hardly ever attributed to such an all pervasive environmental factor like music. The power of music to change emotions and behavior is well understood. Your local supermarket like Safeway buys special music that has been carefully chosen for its rhythm and melody to make you relax or stimulate you, depending on the time of day, so that you will remain in the store longer and be motivated to buy more products. There are actual “bean counters” who measure these things. This type of “control” is very real and it is all around you and I. 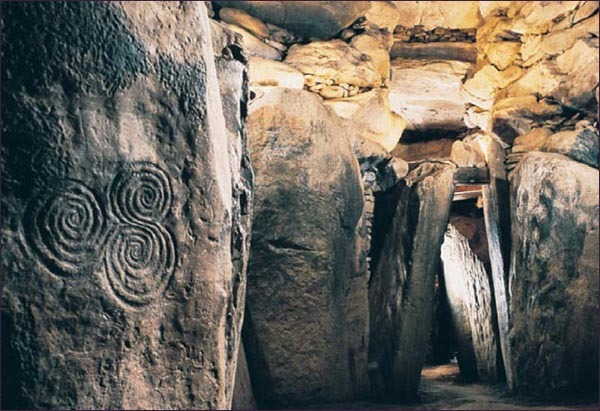 A while back I wrote a piece about the report that ancient temples and some caves which had painted images in them seemed to have a resonance frequency of 110 Hz. At first glance this would seem to support the 440 Hz paradigm (440 Hz/4=110). But when the reports are examined we see that the researchers used set frequencies of 90, 100, 110, 120 Hz to test their theory. They never attempted to test for 108 Hz, which would be a lower harmonic of 432 Hz (432/4=108). Also, these caves have accumulated debris and dirt over the past 40,000 years and so the resonance cavity will undoubtedly be smaller (increasing the frequency). The fact that they “hit” on 110 Hz should have prompted them to take the time and check for 108 Hz resonance. This is but one of many paradigm errors that have impeded the scientific research into 432 Hz as an intuitive frequency of nature and, concurrently, of humanity. For more details see the viewzone article. Forgetting about specific examples, we need only to look at the world around us to see that the early symptoms of psychosis — anxiety, depression, paranoia — are prevalent in society and politics. The only beneficiaries of this sad human condition are the pharmaceutical companies who make billions off our attempt to relieve these symptoms. I am reminded of IG Farben, the Nazi company that made the gas for the holocaust, who changed their name to BAYER and are not only responsible for this drug hungry culture but have also now killed off the honey bees with their pesticides. And, yes, we have written about that also on viewzone. Other pharmaceutical companies are owned by larger financial cartels who, in turn, are owned by even larger banking institutions until ultimately what looks like free market diversity is, in fact, the Rothschild (Illuminati) conglomerate. It’s apparently all designed to create the continuance of unhealthy lifestyles, continual wars and depress spirituality. Although music is just aspect of this control, it is perhaps the most successful. There are some organizations like the LaRouche movement who are actively seeking to revive the 432 Hz as the new standard for tuning. But because the 440 Hz is so embedded in our culture it will take a huge effort (or more scientific studies) to make needed changes. In the end, we must all protect ourselves and our families by listening to 432 Hz tuned music (use AUDACITY, a free program available on line) to transpose our favorite tunes and spread the word about the the healthy benefits of the “natural” music and the potential harm that 440 Hz can have on our minds. Please share this article with your friends on Facebook, Twitter and other social media. “Topographic EEG Activations During Timbre and Pitch Discrimination Tasks Using Musical Sounds”, Neuropsychologia, Volume 33, No. 1, pp 25-37, by P.Auzou, F. Eustache, P. Etevanon, H. Platel, P. Rioux, J. Lambert, B. Lechevalier, E. Zarifian and JC Baron.”On the Sound Related to Painted Caves and Rocks”, The Archaeological Society of Finland, (2004) ISBN: 978-952-67594-7-0 pdf and 978-952-67594-6-3 hardback. Please share with musicians and non-musicians alike. This entry was posted in Awakening humans, Energy, Frequency, Vibration, Great purification, Public Notice and tagged Every choice. Bookmark the permalink. 2 Responses to Why is 432 Hz better than 440 Hz? Read. Listen. Benefit Naturally. Yes i am aware of the 432 vs 440 issue, what a difference 8hz makes. To be honest my ears do not detect a huge difference, but the cymatics is stunning! I agree that 432hz is coherent and sounds more “complete”, while 440hz sounds brighter and livelier. It really depends on the type of music, in my opinion. While listening to classical, i feel very good regardless of frequency. For rap or rock, 440 sounds better, less flat, which makes sense b/c it is a more aggressive, rebellious form of music. I will start listening to 432hz more if that option is available. Thanks for your comment. You prompted me to Blog how to heal our DNA from harmful electromagnetic frequencies. 8 hz: scientists and physicists, like Dr. Andrija Puharich, measured genuine healers from diverse spiritual and cultural traditions the world over. All the real effective healers he analysed, regardless of faith, were found to release a frequency of 8 cycles per second or 8 Hz, from the brains, and to entrain the brain waves of those being healed, inducing a form of “self healing”. I will research further and follow up in a Blog.